The US Army War College is established. Established from the principles learned in the Spanish–American War, the College was founded by Secretary of War Elihu Root and U.S. President Theodore Roosevelt, and formally established by General Order 155 on 27 November 1901. Washington Barracks—now called Fort Lesley J. McNair—in Washington, D.C. was chosen as the site. Roosevelt attended the Masonic laying of the cornerstone of Roosevelt Hall on 21 February, 1903. The first president of the Army War College was Major General Samuel B. M. Young in July 1902 and the first students attended the College in 1904. During the presidency of Montgomery M. Macomb in 1916, President Woodrow Wilson accused students and staff of planning for taking part in an offensive war, even though the United States had not entered World War I. Wilson was unconvinced by Macomb’s explanation that the college was concerned only with the intellectual growth and professional development of its students, and insisted that the school curtail its activities in order to ensure that the U.S. maintained its neutrality. The College remained at Washington Barracks until the 1940s, when it was closed due to World War II. It reopened in 1950 at Fort Leavenworth, and moved one year later to its present location. The Center for Strategic Leadership areas of emphasis are experiential education, Senior Leader education, support to Army Senior Leader research, and support to both US Army War College and Army Senior Leader strategic communication efforts. CSL’s professional staff and Collins Hall facility host, support, develop, and conduct world-class events focused on a broad range of strategic leadership and national security issues and concepts in support of the USAWC, the Army, and the Interagency and Joint Communities. The Basic Strategic Art Program is one of the academic programs taught at the U.S. Army War College. When the program was founded in 2003, its purpose was to provide those officers who had been newly designated into Functional Area 59 an introduction to strategy and to the unique skills, knowledge, and attributes needed as a foundation for their progressive development as army strategists. FA 59 officers have deployed to combat since the onset of the Global War on Terror in 2001. Since then, graduates of this program served in key positions in Iraq, Afghanistan, all combatant commands, and at the Pentagon. The Peacekeeping and Stability Operations Institute is located at the War College. The institute’s mission is to serve as the U.S. Military’s Center of Excellence for Stability and Peace Operations at the strategic and operational levels in order to improve military, civilian agency, international, and multinational capabilities and execution. South African Airways Flight 295 crashes all on board were killed. South African Airways Flight 295, a Boeing 747 named Helderberg, was a commercial flight from Taiwan to South Africa that suffered a catastrophic in-flight fire in the cargo area and crashed into the Indian Ocean east of Mauritius on 28 November 1987, killing everyone on board. An extensive salvage operation was mounted to try to recover the flight data recorders, one of which was recovered from a depth of 4,900 metres (16,100 ft)—the deepest successful salvage operation ever conducted. The official inquiry, headed by Judge Cecil Margo, was unable to determine the cause of the fire, leading to a number of conspiracy theories being advanced in the following years. 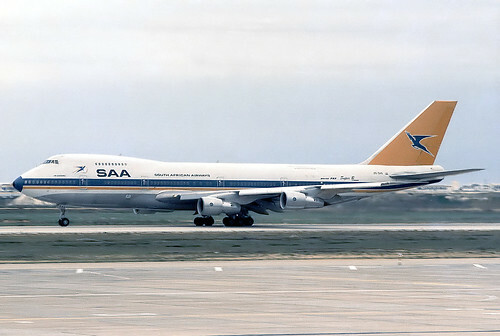 South African Airways Flight 295 was a Boeing 747-200B Combi, named The Helderberg that was delivered to the airline in 1980. The aircraft took off on 27 November 1987 from Taipei Chiang Kai Shek International Airport, on a flight to Johannesburg via Mauritius. Dawie Uys served as the captain of the flight. The Boeing 747-200B Combi is a variant of the aircraft that permits the mixing of passengers and airfreight on the main deck according to load factors on any given route and Class B cargo compartment regulations. Flight 295 had 140 passengers and six pallets of cargo on the main deck. The master waybills stated that 47,000 kilograms of baggage and cargo were loaded on the plane. A Taiwanese customs official performed a surprise inspection of some of the cargo; he did not find any cargo that could be characterised as suspicious. At some point during the flight, a fire developed in the cargo section on the main deck; the fire was probably not extinguished before impact. The ‘smoke evacuation’ checklist calls for the aircraft to be depressurised, and for two of the cabin doors to be opened. No evidence exists that the checklist was followed, or the doors opened. A crew member might have gone into the cargo hold to try to fight the fire. A charred fire extinguisher was later recovered from the wreckage on which investigators found molten metal. A hydrogen atmosphere is discovered around the extrasolar planet Osiris by the Hubble Space Telescope. Twenty-five are killed in the Souhane massacre in Algeria.